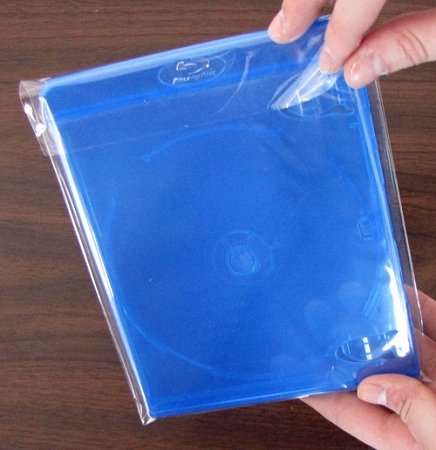 These Blu-ray shrink wrap bags let you package your blu-ray case with no special equipment. 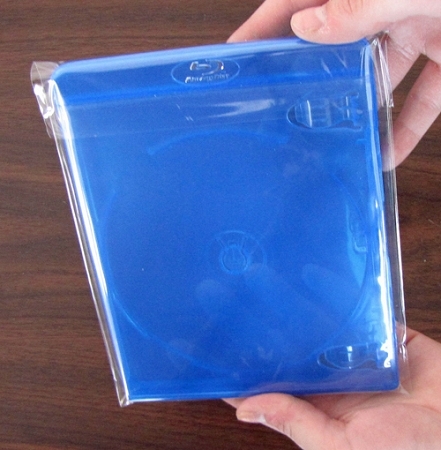 Just slide the Blu-ray case in, seal with the self-adhesive strip, and you're done! 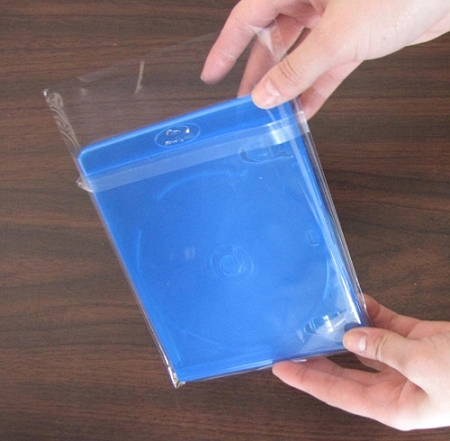 The OPP Plastic bag is very clear, so that your case and/or label will show through. 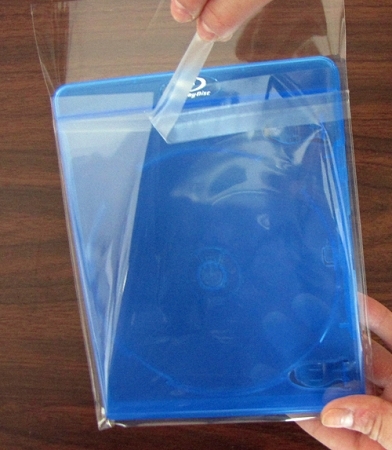 Fits snugly around standard Blu-ray cases.